We’re a boutique design + dev shop in Los Angeles. 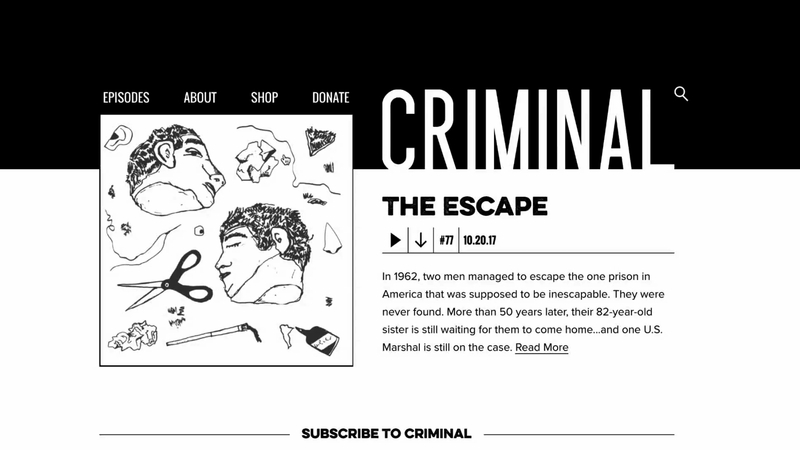 We make websites...like this one for Criminal Podcast. We create smart design with some big personality. 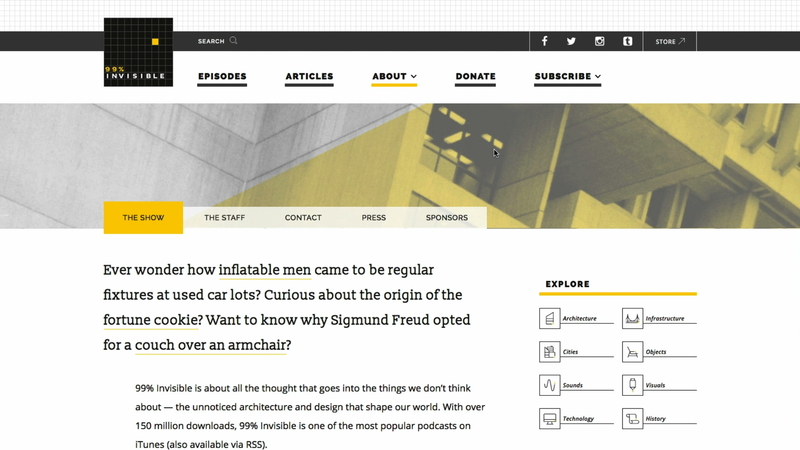 Oh we also made this website for the podcast 99% Invisible. Podcasts are so great! Web. Branding. Pitch Decks. Print. We do lots o’ stuff. 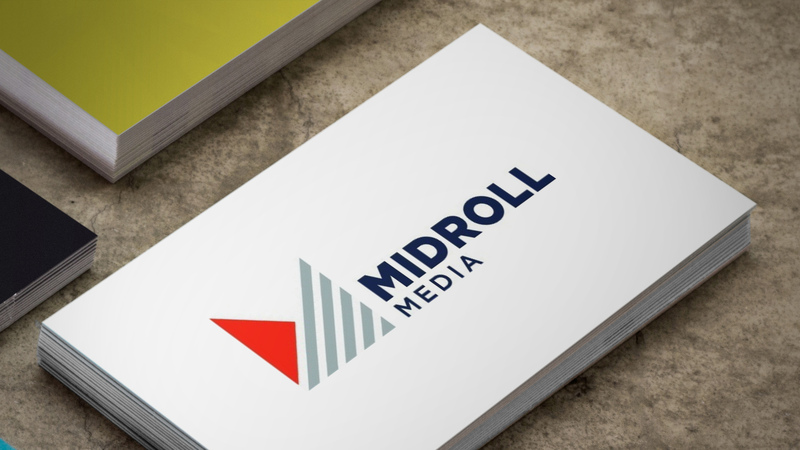 Like this branding for Midroll Media.